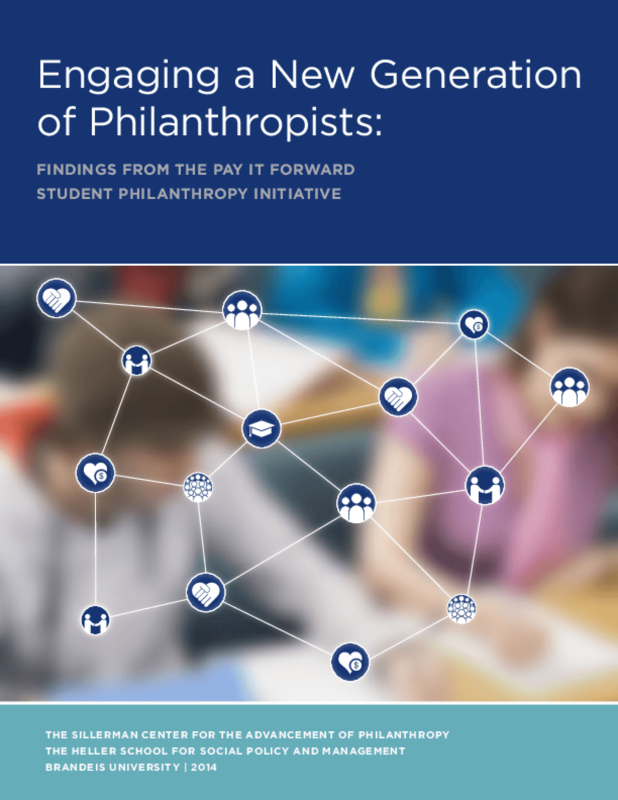 This report focuses on an emerging trend in higher education called student philanthropy, an experiential learning approach where students study social issues in the community and make decisions about distributing funds to nonprofit organizations. Previous research in the field of student philanthropy has revealed promising results: those enrolled in student philanthropy courses have shown a greater awareness of social problems and nonprofits, a heightened sense of responsibility to help others in need, and a greater likelihood to give their time and money in the future to support their community. However, little is known about the ways previous philanthropy experiences of students and components of student philanthropy courses may explain these outcomes. What are the prior philanthropic experiences of Pay it Forward participants? What features of a Pay it Forward course predict student confidence in their philanthropic skills, abilities, and knowledge? What aspects of a Pay it Forward course predict changes in students' plans to donate money to, volunteer in, and otherwise support their communities? Copyright 2013 The Heller School for Social Policy and Management, The Sillerman Center For the Advancement of Philanthropy.